Vibrations: If when you go to put your foot on the brake pedal and that pedal vibrates or you feel a shaking of it, that is a clear indicator that your rotors on your car may be warped. Squealing Brakes: This may be a bit harder to monitor, as you will likely need to have your windows down, and both your air conditioning and your radio off in order to hear this. The squealing noise coming from your brakes when you use them usually is a sign that you need to have them checked out by an ASE-certified technician. Grinding Brakes: When you push on your brake pedal and you hear a deep grinding, this is a clear indicator that your brake pads are damaged or worn beyond safety limits and need to be replaced quickly. ABS Light On: There are several reasons that your ABS light may come on at odd times, including: metal particles in the brake system, or complete brake system failing. 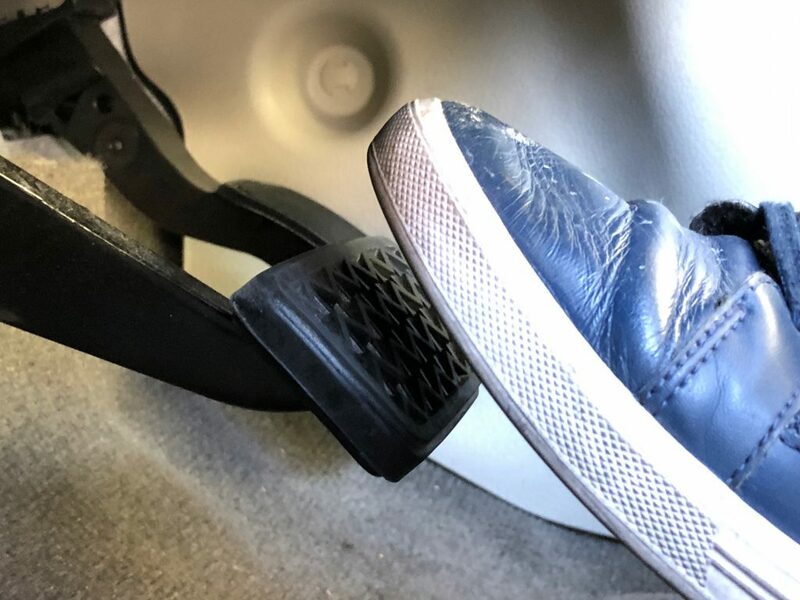 Brake Pedal Touching Floor: One potential problem with your brake system is that it may start to lose fluid and fluid pressure, allowing you to push the brake pedal all the way to the floor. This is a possible indicator of a leak in your brake system. Brakes Grabbing. While you are driving and if you ever feel your vehicle pull to one side or another when you apply your brakes, this may be an indicator of your car’s brake lining wearing unevenly or in need of a complete flush of the brake fluids. If you notice one or more of these brake system failure warning signs, be sure to swing by our shop or give us a call at (248) 668-1200 as soon as possible. Previous Post « Preventative Maintenance – Important to your Vehicle’s Health!